Here in the Philippines, us mere commoners also raised our glasses to toast the end of a stressful work week. 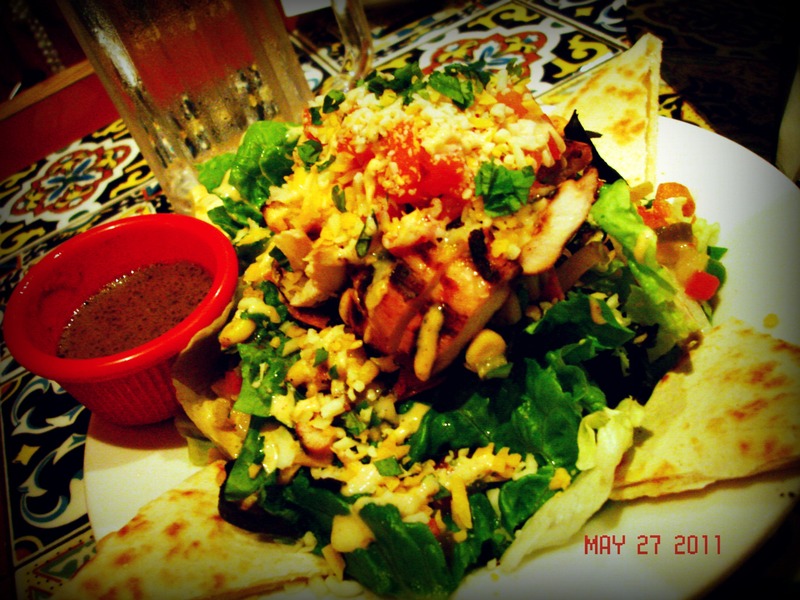 Funded by payday Friday, we were confident enough to splurge on some expensive (in my opinion) food and drinks from Chili’s, Greenhills. Since Kim and I felt like pigging out, we decided to join forces and order both the Quesadilla Explosion and the Country-Fried Steak. One thing to say about Chili’s: the prices are worth it as the servings are MASSIVE! 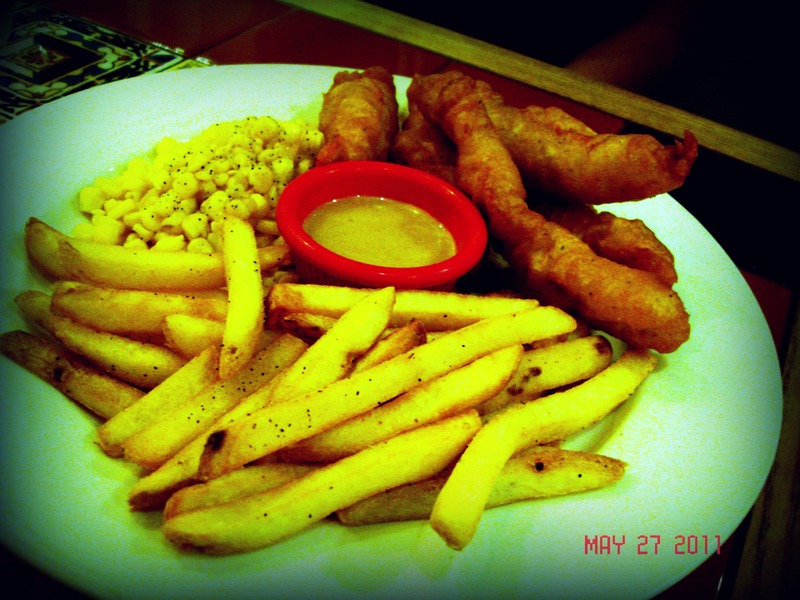 Moreover, the food’s good so there’s nothing much to complain about. Vince and Joey, on the other hand, were just in for the drinks so they decided to save on the meal and got some Chicken Crispers. 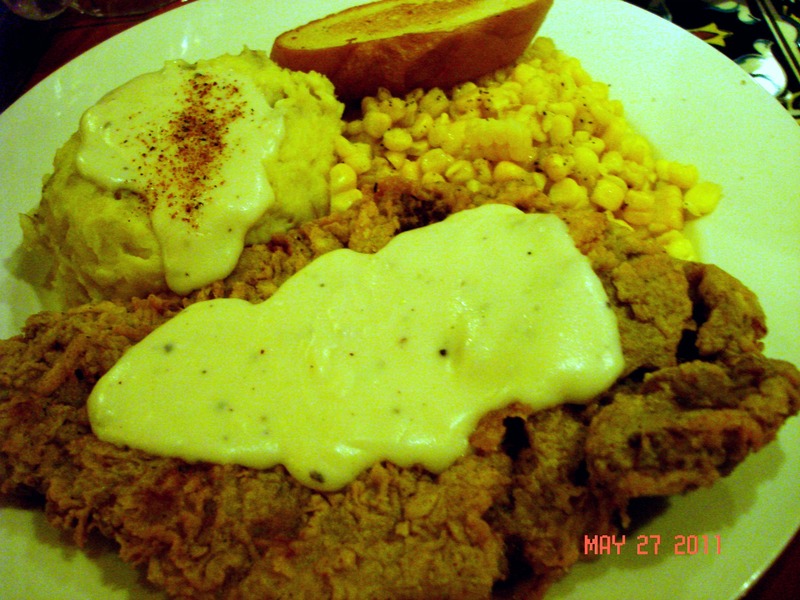 Again, massive serving that was good enough to share even though it’s supposed to be regular-sized. This gathering, however, is not really about the food, is it? From the very start, this was all meant to be about drinking and being merry. So let the drinking commence! Vince, being the only man in the group, got a typical man’s drink: a pitcher of beer. Couldn’t believe he was able to finish it. The pitcher looks bigger in actuality than it does in the picture. Know what I’m thinking? Beer Belly! 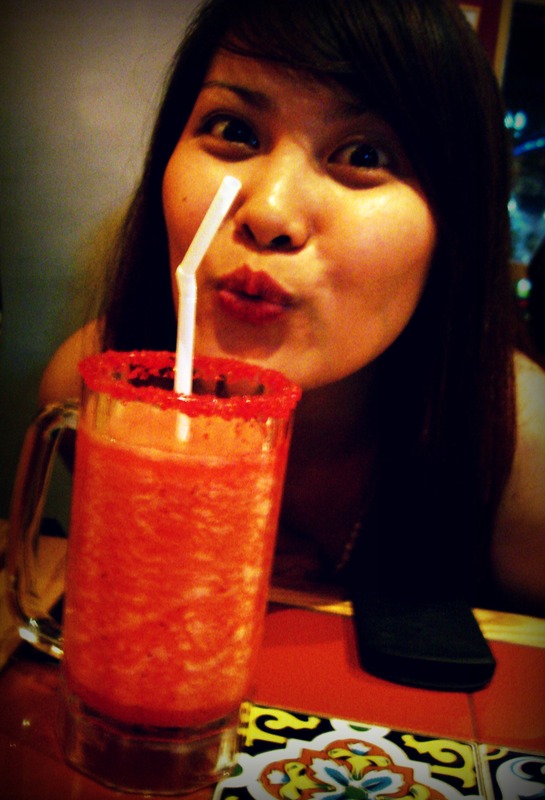 The most experienced drinker in the group, Joey, took advantage of the unlimited margarita promo and had her share of different flavored margaritas. 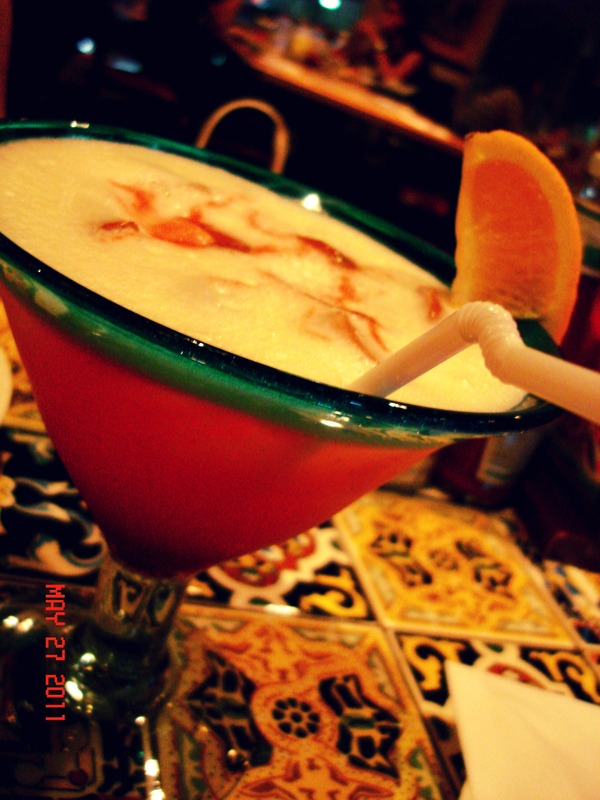 Now I’m not really fond of margaritas so I got another drink despite much persuasion to get the same thing. 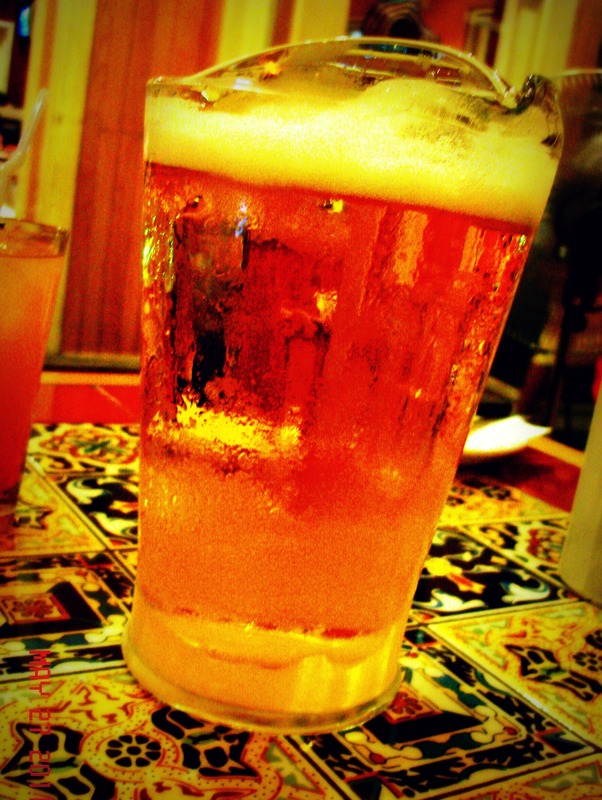 And… finally my drink! 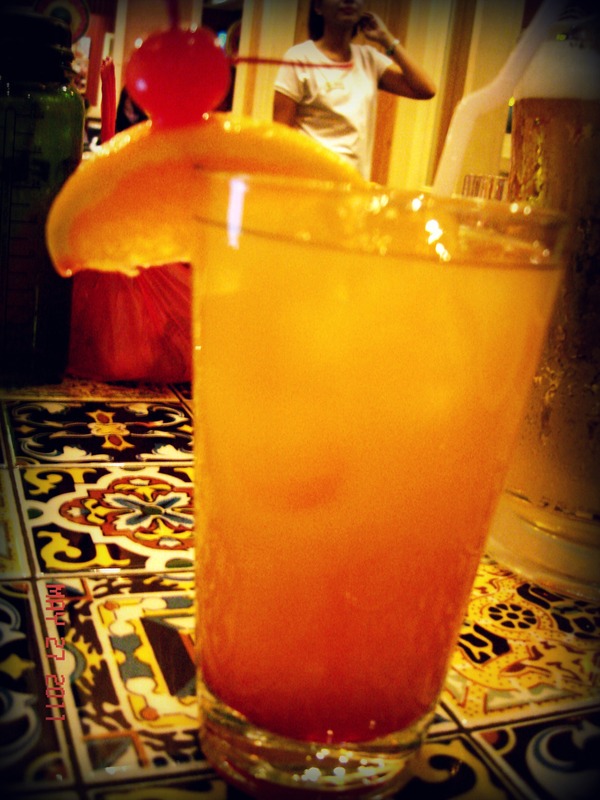 One of the best sellers from Chili’s is this Tropical Sunrise. We were all surprised when it came in this huge cocktail glass. It looked quite normal-sized in the photo. Should have known it would be massive as well like the other things in this resto. Went home flushed but not tipsy enough to go wild. I’m so proud that I’m not such a lame drinker after all. Seriously though, sharing some alcohol with friends is one of the best rewards for a job well done. Here’s a toast to another great week ahead! Next Still Dreaming About Mr. Darcy?